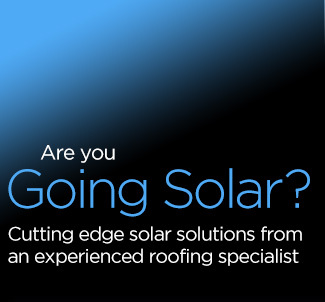 ABR Roofing now offer an outstanding solar panel installation service to industrial, commercial and domestic customers. We only use the very best quality PV equipment and constantly evaluate the latest developments in PV technology. Unlike some other companies offering solar panel installation, ABR Roofing are first and foremost a highly experienced roofing company with over 30 years of experience in working on the most demanding and complex industrial and commercial roofing projects (and we’ve got the references to prove it). Our services are used regularly by some of the largest building contractors in the country and we have an outstanding reputation for completing highly demanding projects on time and on budget. We have now added solar panel installation to our range of services and we take the same level of care and commitment into this area that we put into every other part of the business. We only use the very best quality materials and you can be sure that every single thing that will be attached to your roof is of the highest quality professional grade, ready for a lifetime of use in the most demanding of conditions. Please believe us when we say that we have seen some truly shocking installation work carried out by firms who are new to solar panel installation and are not used to working of roofing projects. It is worth pointing out that we are often asked to remedy failed solar panel installations made by less experienced companies. Make sure that the company you choose to install your solar panels can demonstrate a high level of technical skill, ask for proper references, or you could be left seriously out of pocket. ABR Roofing have the skills, the technical background and the proper equipment to offer the very best solar panel installation service. We really believe that we offer an industry leading level of service, why not put us to the test and give us a call.